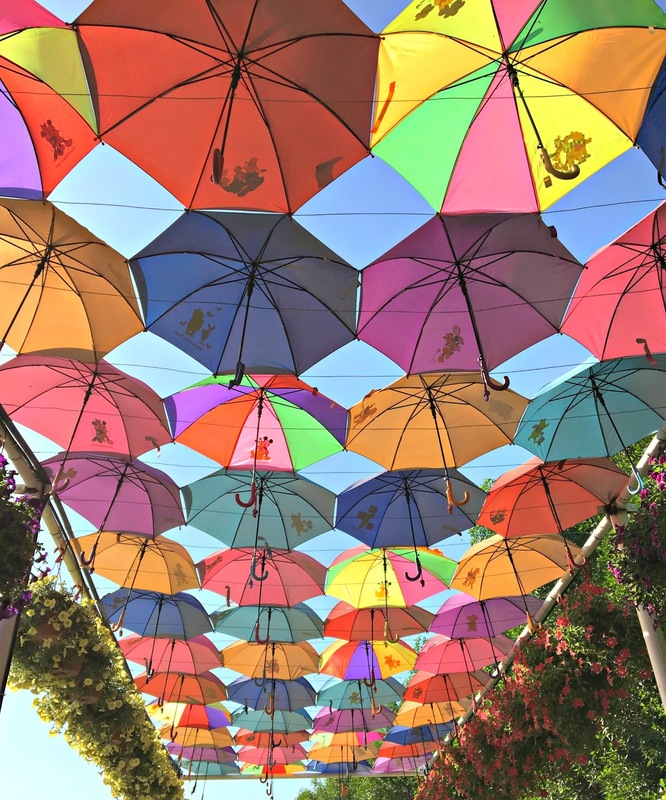 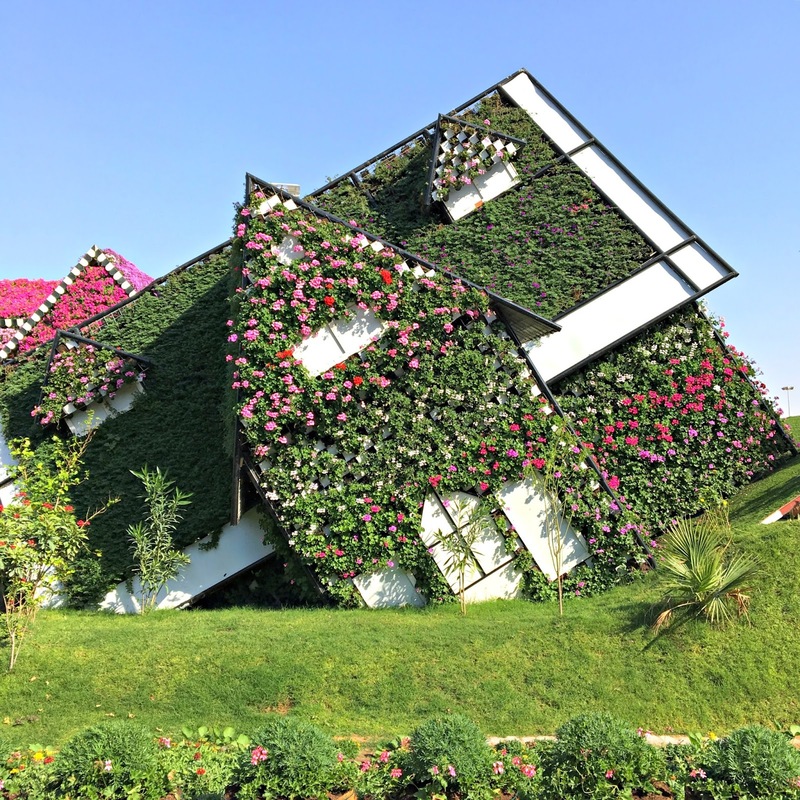 It is located in the district of Dubai Land in Dubai, United Arab Emirates. 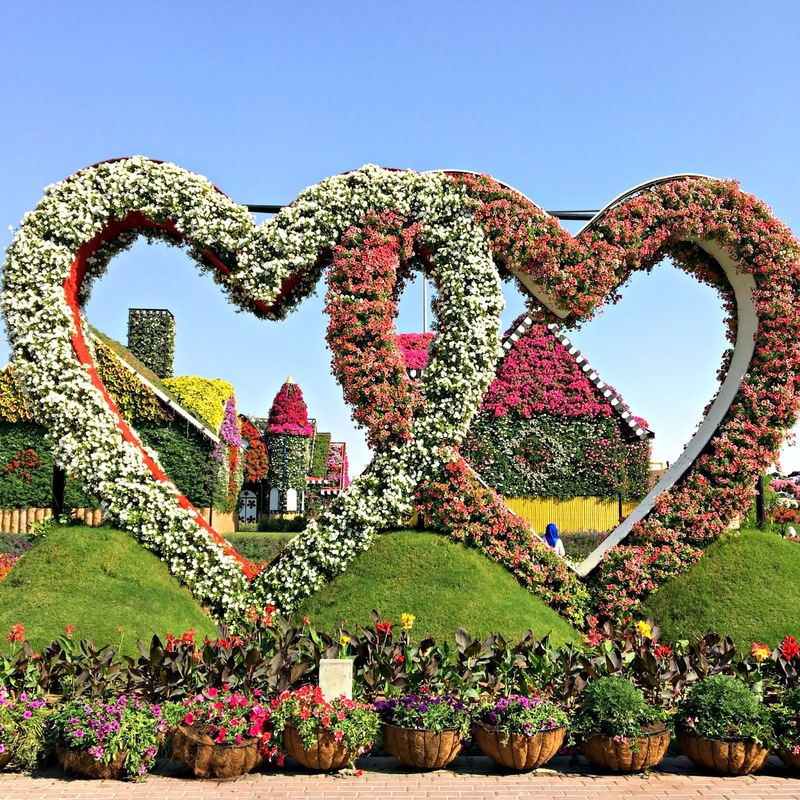 The garden was launched last February 14, 2013 which is Valentine's Day. 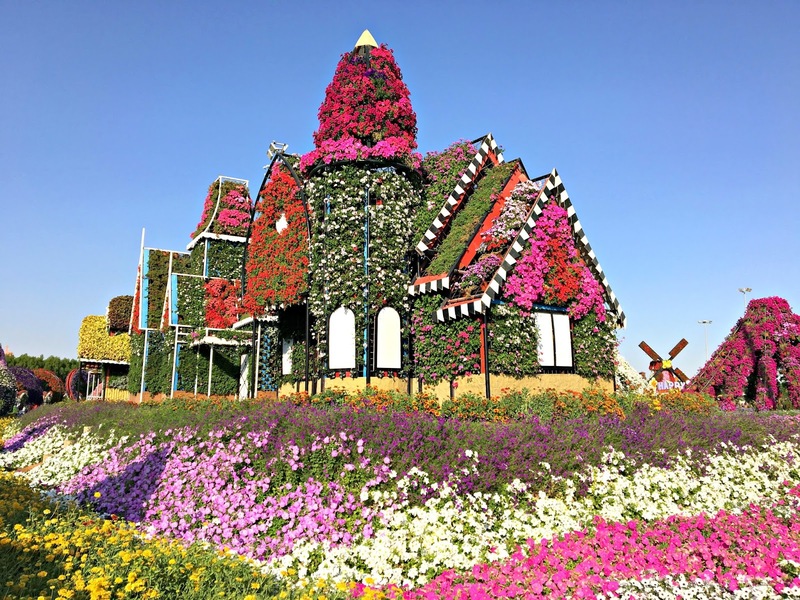 The garden operate from October to April when it's winter time and closed from June-September due to high temperatures with the average of 40 °C. 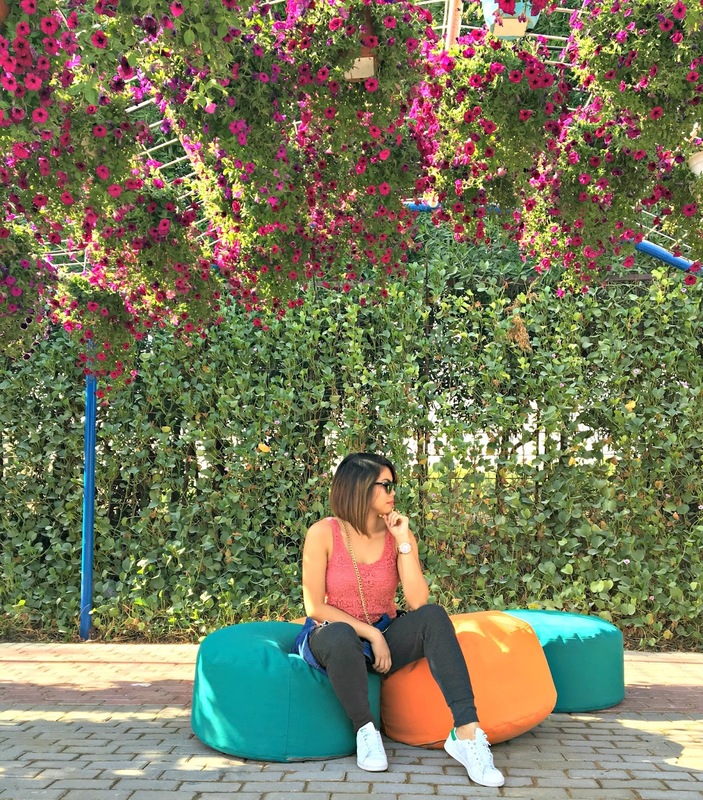 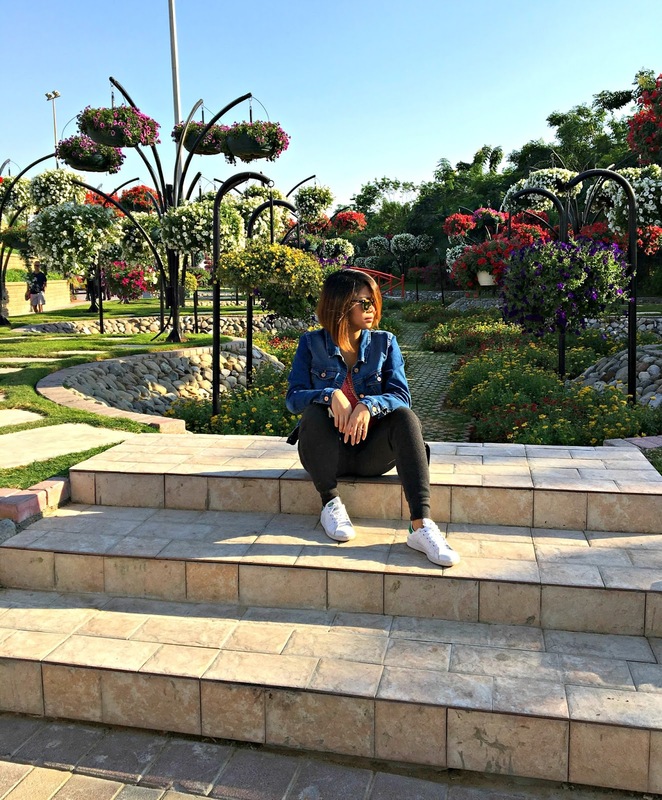 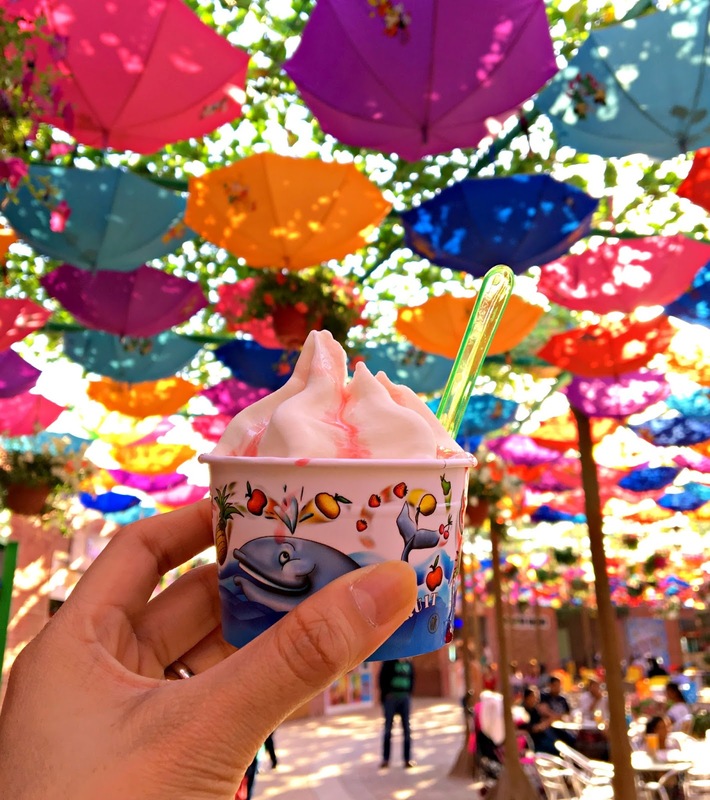 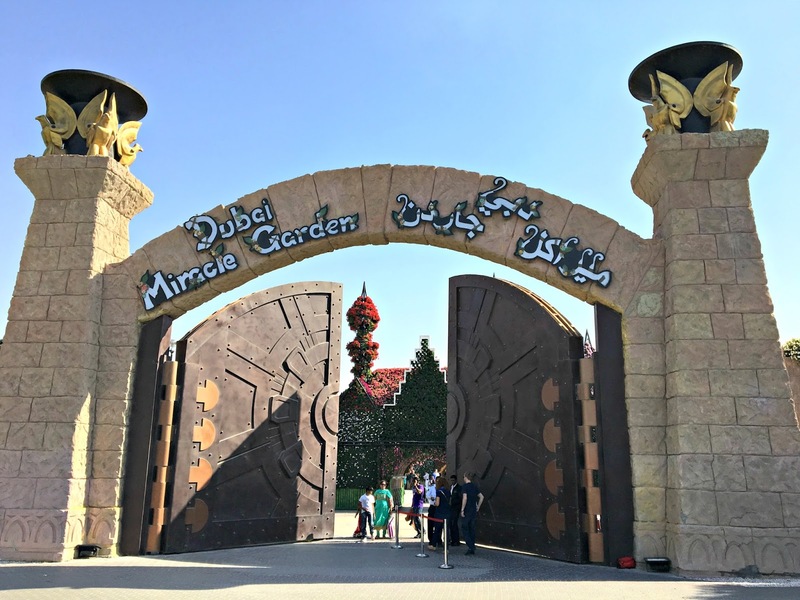 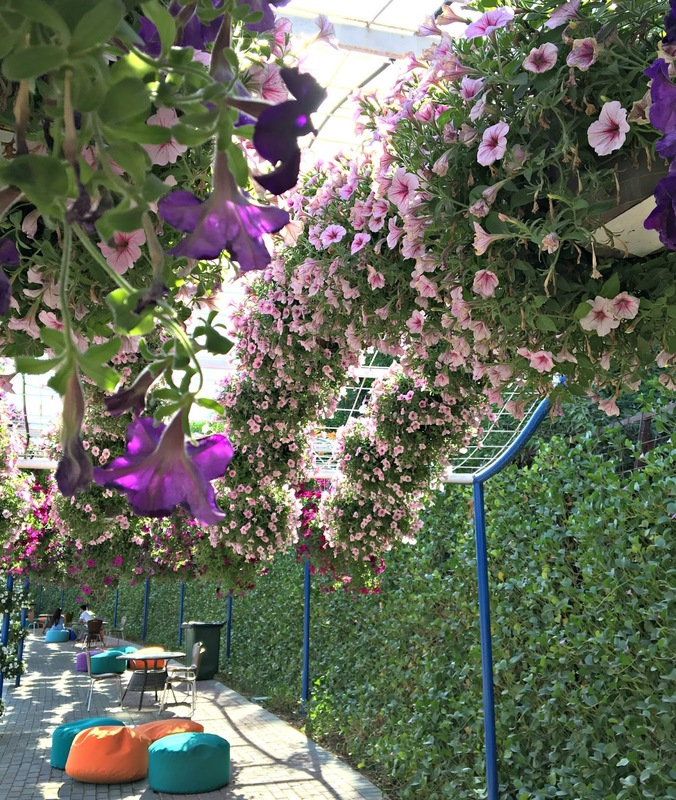 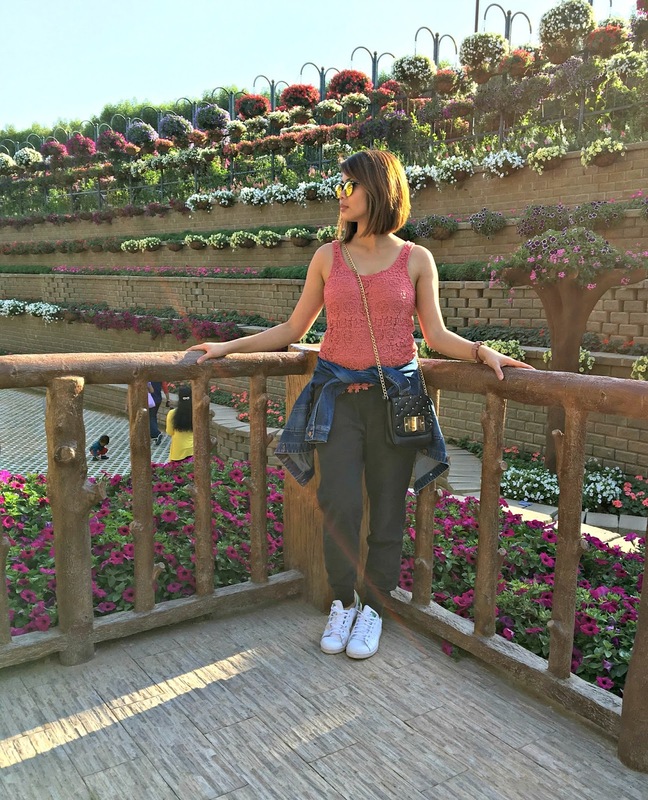 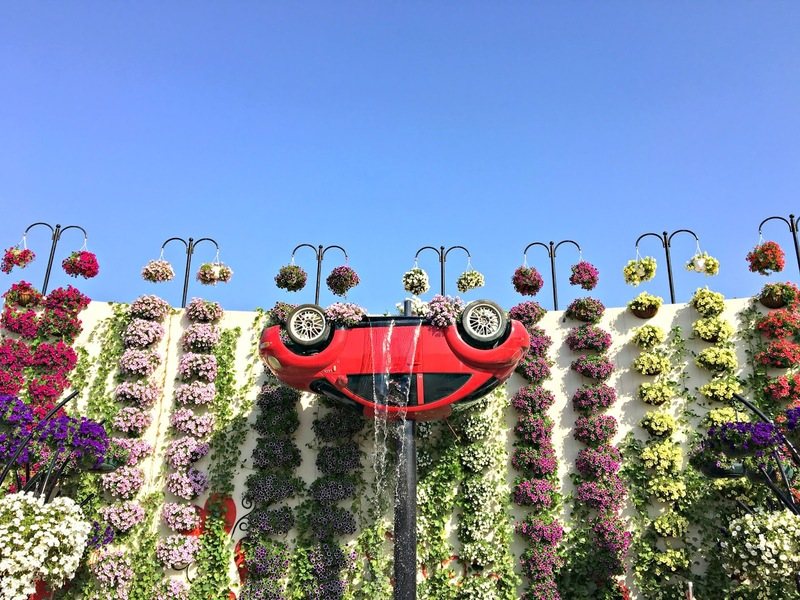 They are few attractions you may find inside like the floral clock, colorful peacocks, Burj Khalifa, butterfly garden, aromatic garden, colorful umbrellas, big hearts, house made of flowers, some upside down cars, trains and lovely scenery on top. 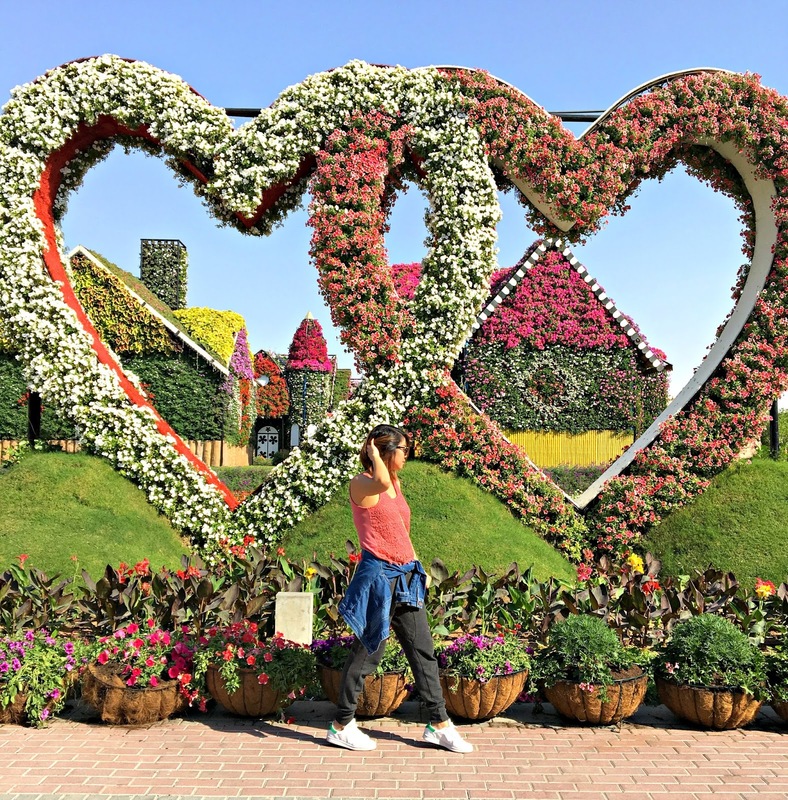 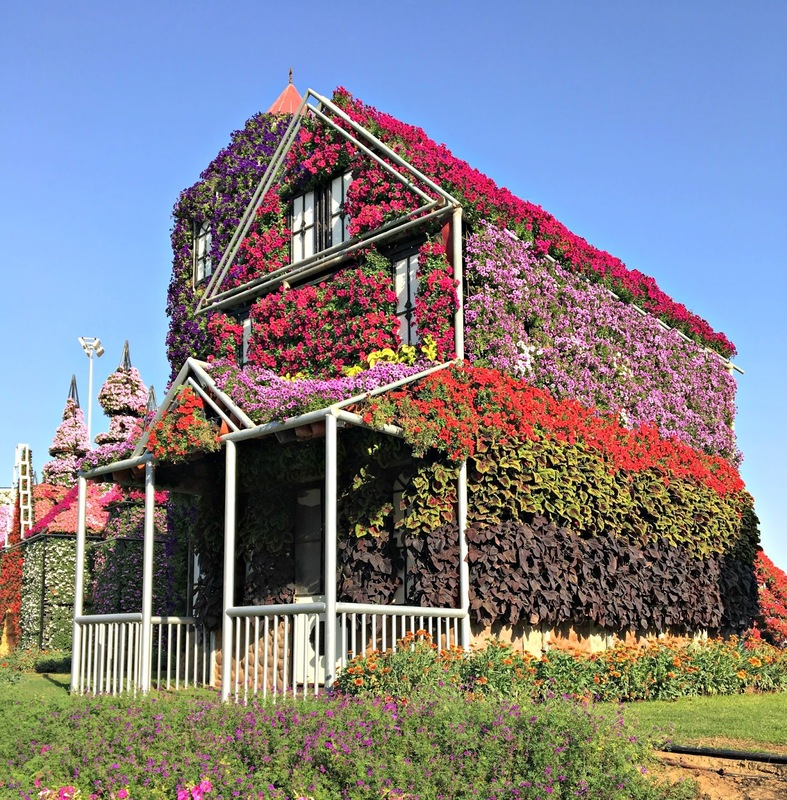 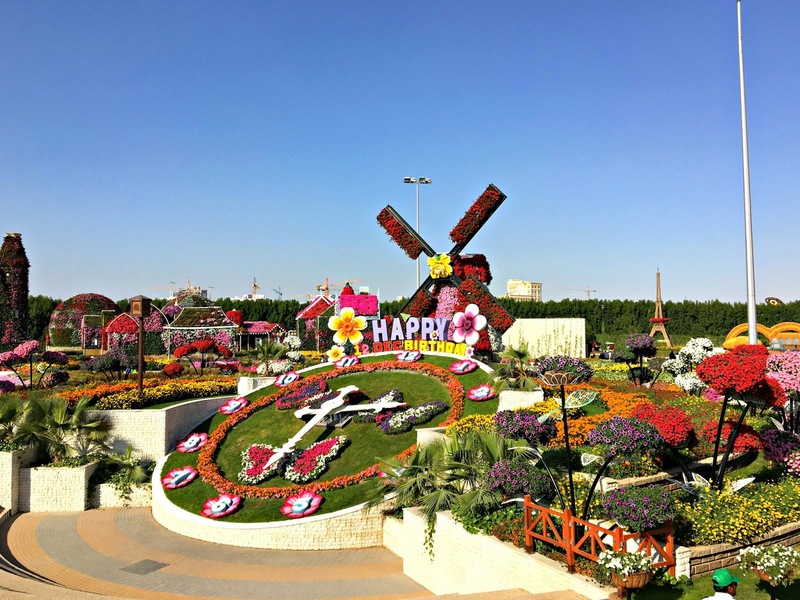 Miracle Garden is a perfect place to celebrate Valentine’s Day since the place is full of flowers, places to talk and walk around. 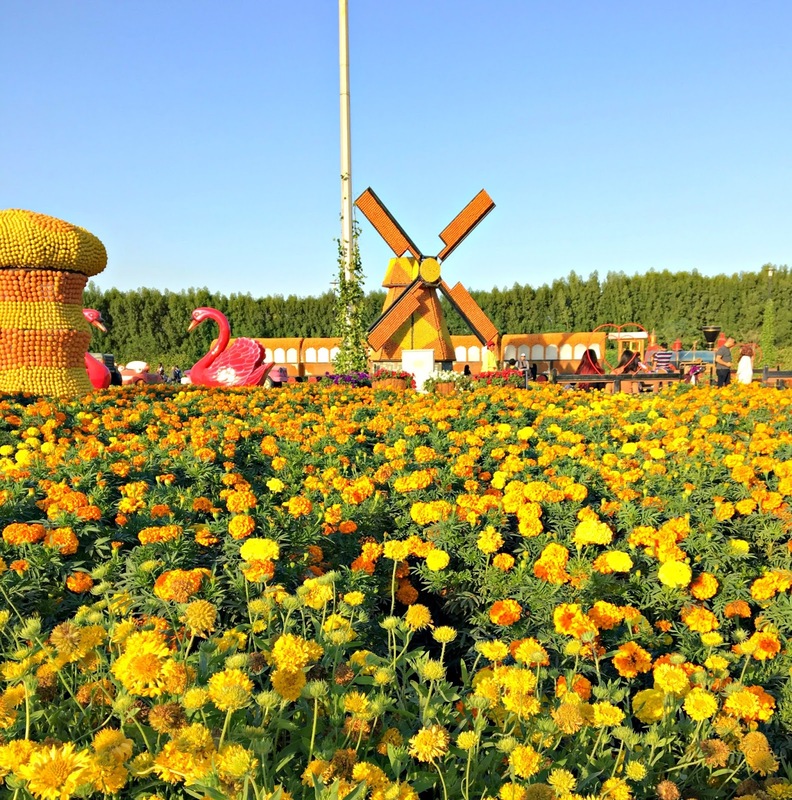 It is a great family activity as well during weekends. 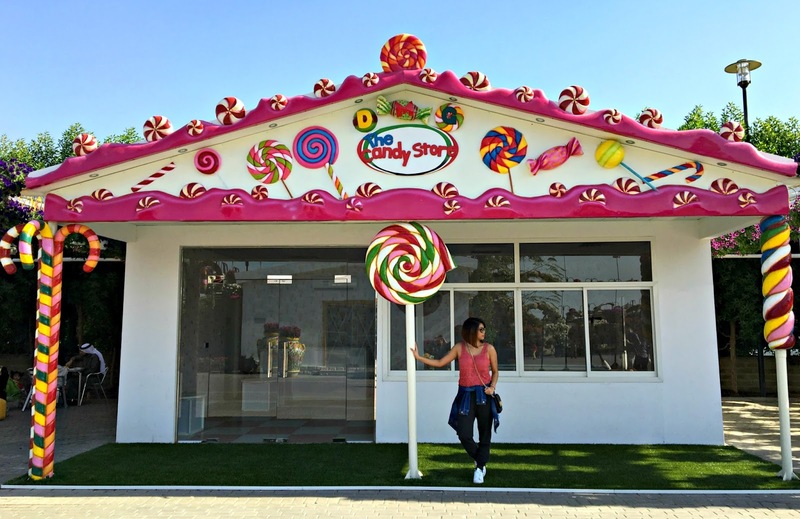 They offer wide variety food in their cafe and restaurants. 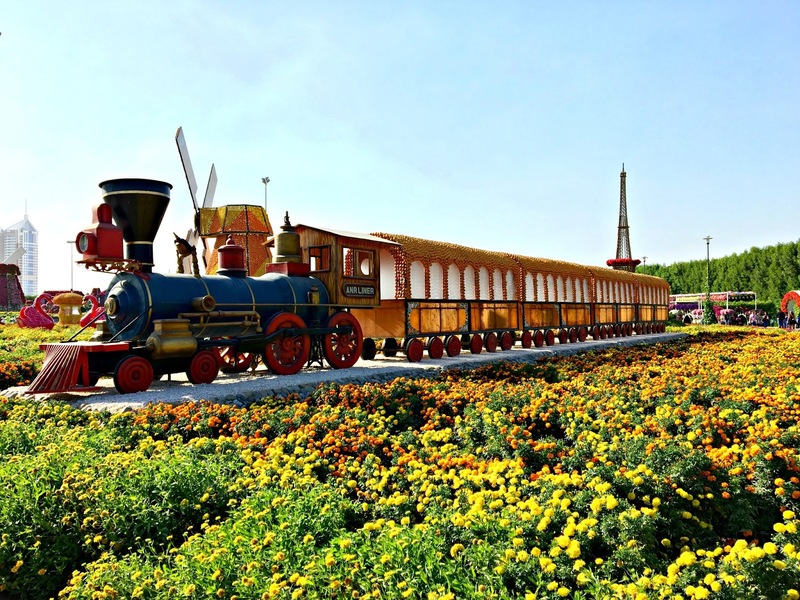 The park is open from 9:00am until 9:00pm during weekdays or from Sunday to Thursday and open until 11:00pm during weekends or from Friday to Saturday. 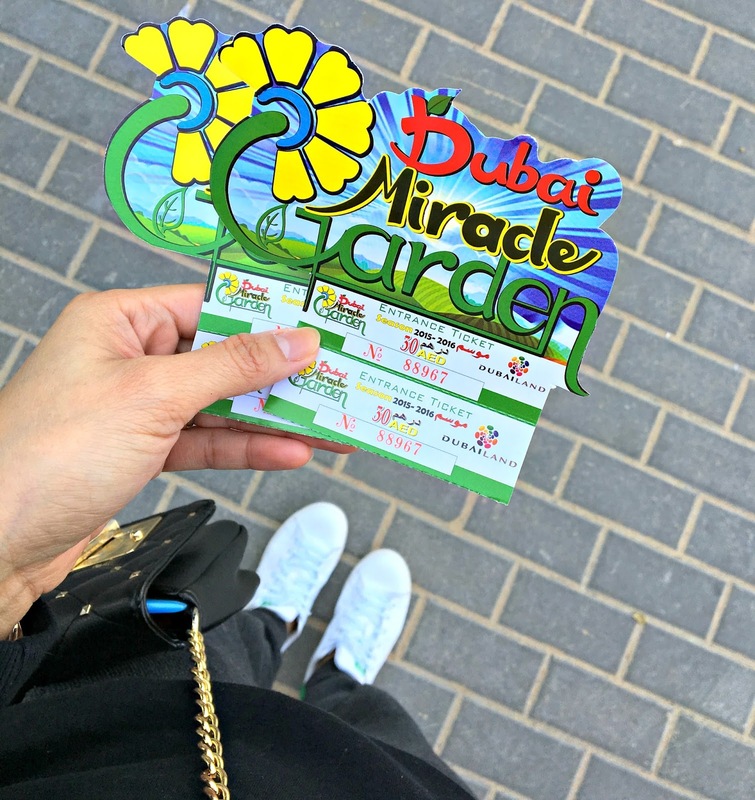 For a regular day pass, you need to pay 30 aed or 8$ and free for children 3 years old and below and people with disability. 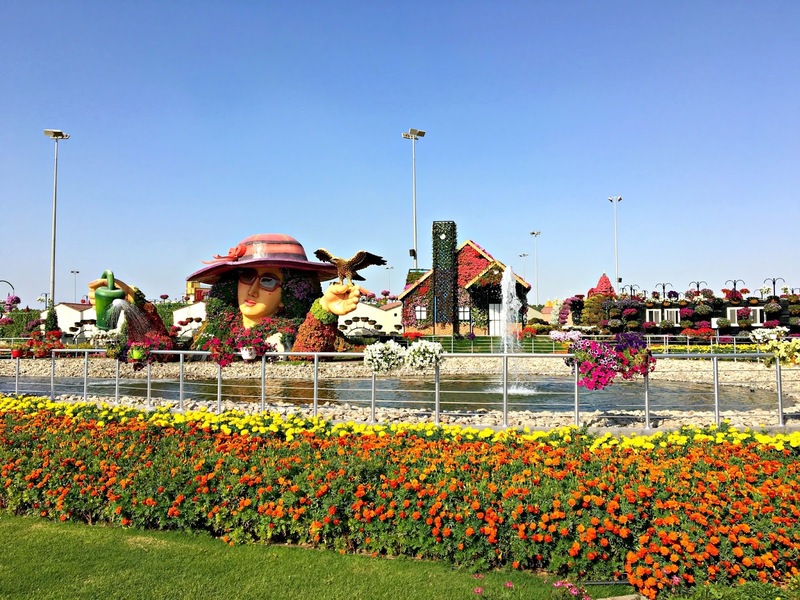 In order to reach the place, you may take bus route 105 from Mall of the Emirates. 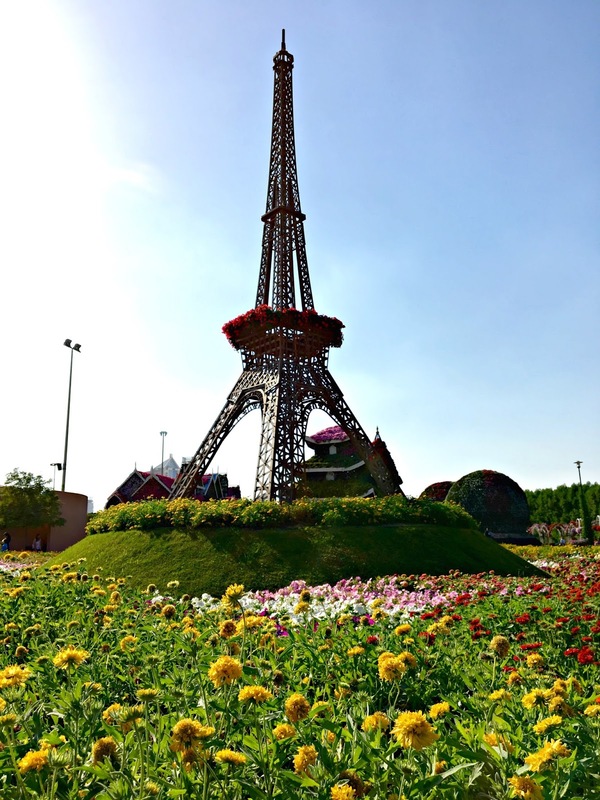 The trip starts from 2:00pm and ends at 8:00pm during weekdays and cost 5 AED per trip. 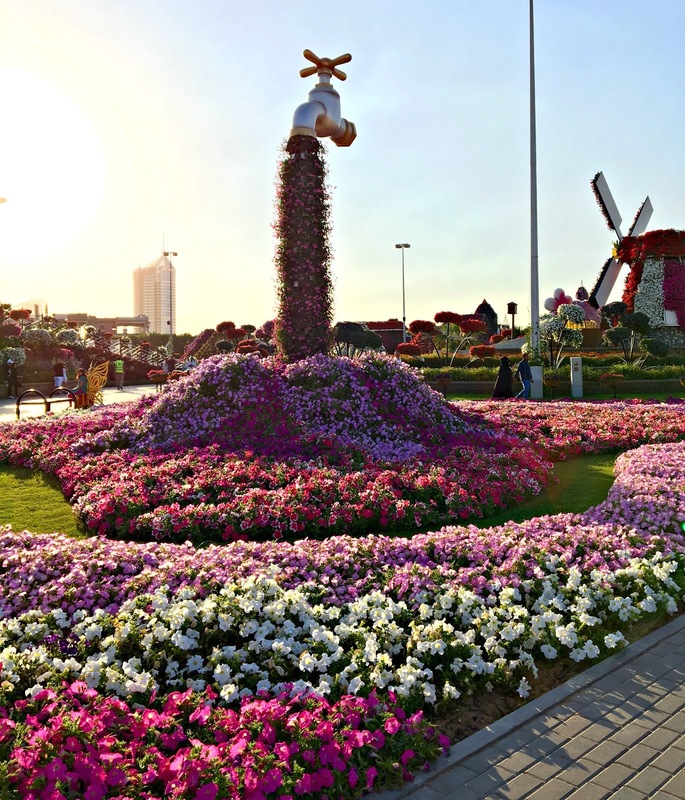 During weekends, the trip starts from 12:00nn and ends at 10:00pm and still cost 5 aed per trip. 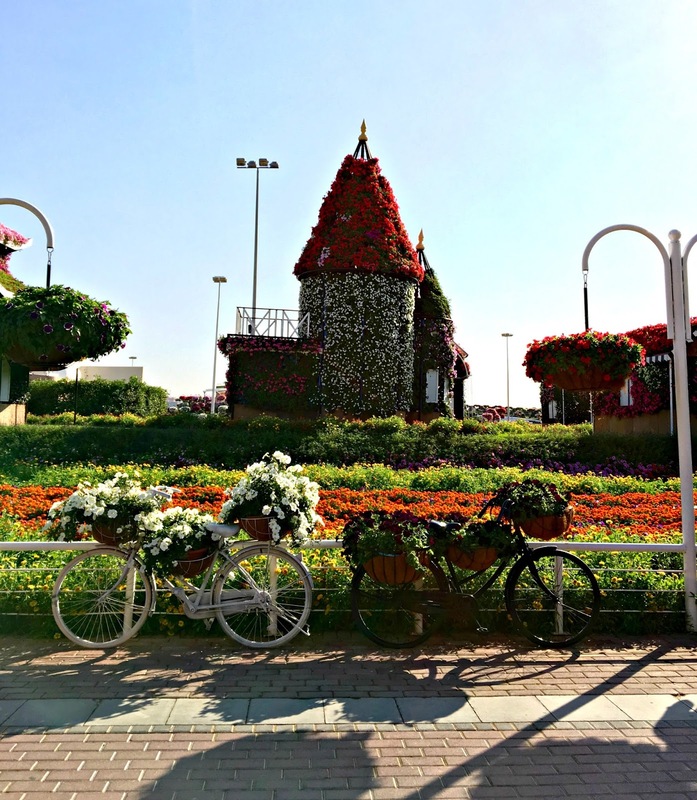 If you are traveling by car, you may take the Sheikh Mohammed Bin Zayed Road and turn at D63 road. 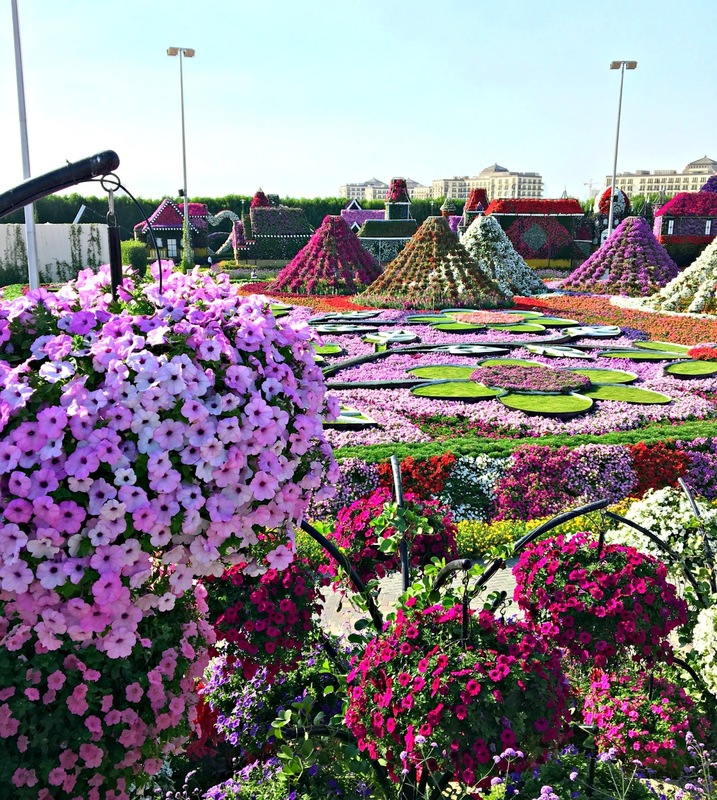 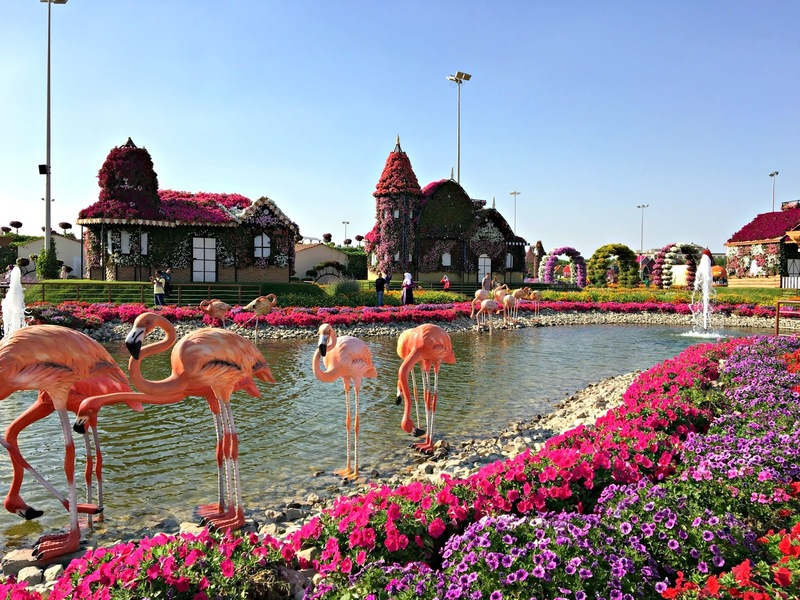 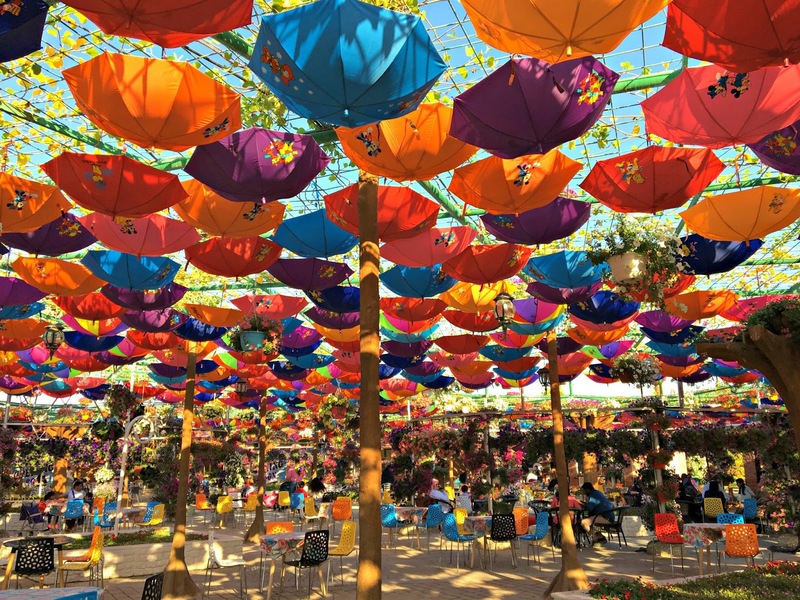 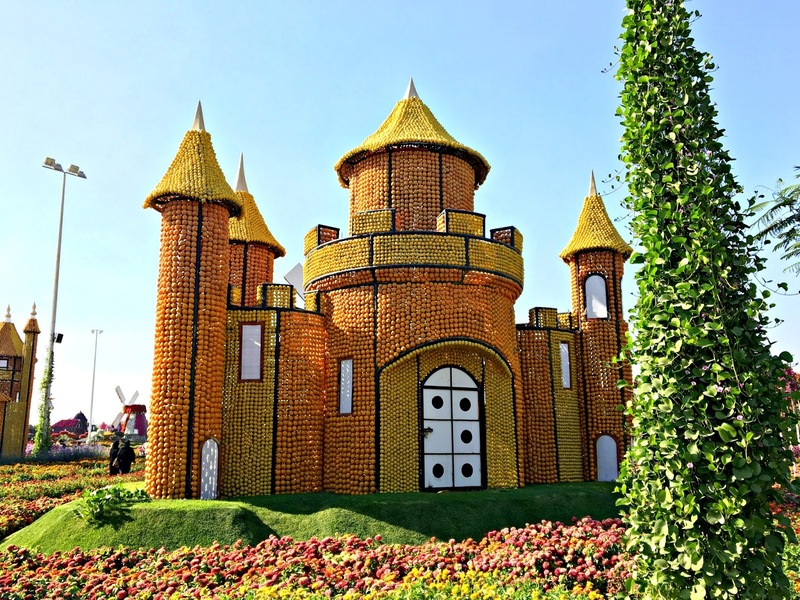 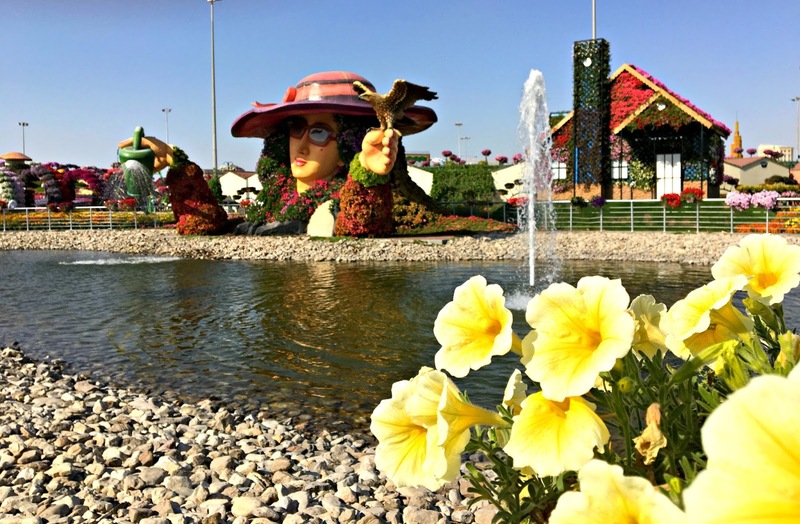 For more information, you may visit Dubai Miracle Garden or call +971 4-4228902 and/or email info@dubaimiraclegarden.com.